As one of the Midwest’s largest independent manufacturer of paints and coatings, Hirshfield’s has a unique ability to offer custom factory direct batches in our marketplace. Our factory fulfillment process is easy and offers unique advantages when a large quantity batch is required. Contact your sales rep for more information on the benefits of using totes from our paint factory. Custom batch sizes ranging from 100 gallons – 3,000 gallons. Achieve best possible color uniformity throughout the entire batch vs. individually tinted containers. 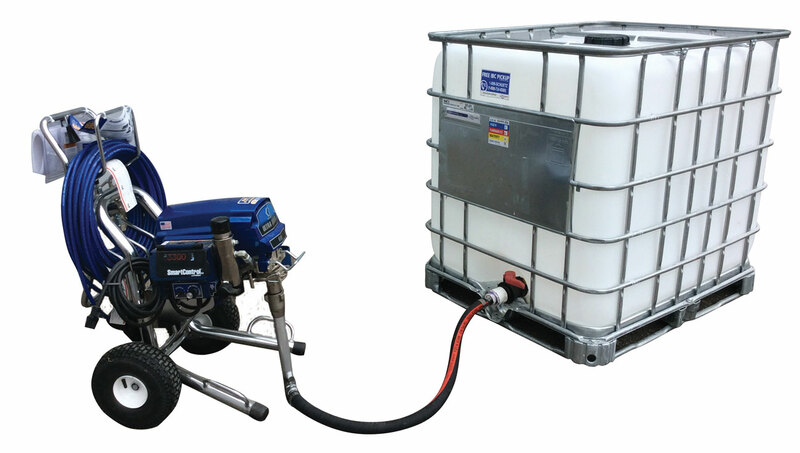 Ability to fill various container sizes including tank wagons, totes, drums, 5 gallon pails, gallons, and quarts. Full-time chemists available to assist in custom formulations. Turnaround time from the receiving date of the order to the shipping date of the order is less than five business days. Low VOC environmentally friendly products. No crystalline silica in any of our manufacturing processes. The less time spent opening containers and keeping material flows ultimately saves you money. 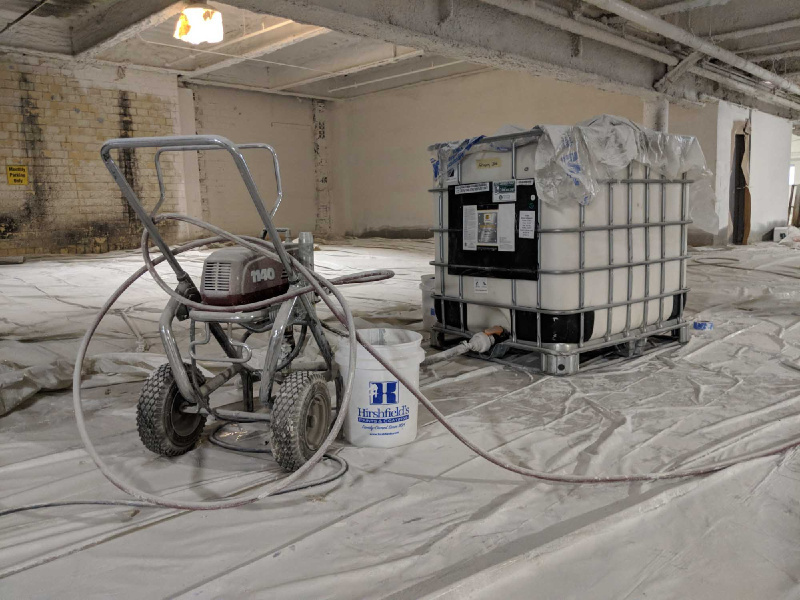 In this video Jason Boedigheimer, Operations Director for Hirshfield’s Paint Manufacturing explains the benefits of a 250 gallon factory batch. See the cost saving and time benefits by using 250 gallon totes when working on large commercial projects. QUESTION ABOUT SMALL BATCH FACTORY FULLFILLMENT? Hirshfield’s is here to help! pLEASE submit a general inquiry and someone will get back with you shortly.